The name of John Goodricke (1764-1786) is well known in York. He won the Copley Medal, the highest scientific honour of the Royal Society of London at the age of nineteen for his observations of the star Algol. A plaque commemorates him on the wall outside the Treasurers House, where his family lived for a brief time and where he apparently observed. The young man, deaf from early childhood, is duly celebrated as one of Yorks famous citizens, and in the wider community he is a role model for those who overcome what could have been crippling disabilities. The present author, a professor of astronomy who has taught thousands of students of John Goodrickes age, has always been fascinated by the way young people learn. A sabbatical in the spring of 2010 gave her the chance to live in York, to visit places where John Goodricke lived and worked, and to study his journals in the York City Archives. God said, Let Newton Be! and all was light. The danger of such myths is that they can blind us to the humanity both of the scientist and of those who lived and worked with him. Further, belief in such myths could blind us to the realization that people such as John Goodricke benefitted greatly from appropriate teaching and mentoring. The teenaged-winner of the Copley Medal did not spring, fully formed like Athena, from anyones forehead. Rather, he attended forward-thinking schools that addressed his learning needs and nurtured his talents, and he was surrounded by a family who apparently valued and encouraged his studies. The Misunderstood Genius myth is apparent in the common presentation of John Goodrickes story. Perhaps the single worst perpetrator of the myth was the noted astrophysicist Czech-British Zdenek Kopal, who was responsible for much of our modern understanding of Algol. In his autobiography Of stars and men Kopal asserted that All Goodrickes were essentially country squires of the fox-hunting type. The implication is, of course, that the Goodricke family were ignorant and provincial at best. 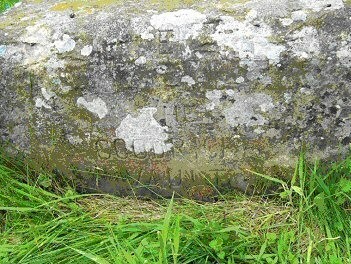 After a trip to the churchyard at Hunsingore, where the Goodricke family were patrons of the parish, and not finding Johns name on a tombstone, Kopal suggested that the family had buried him alone and forgotten, in a nearly-unmarked grave. These are strong accusations indeed, and it seemed likely that a concerted investigation might be able to show whether or not they were grounded in truth. Goodricke, brother of Thomas Goodricke, the Archbishop of Ely, became steward of Great Ribston. The property dated back to before the Conquest, and it passed through the hands of the Knights Templar and several other religious orders before the Dissolution of the Monasteries in the time of Henry VIII. In 1641 Sir John Goodricke was created the first Goodricke baronet for his service to the King during the Civil War. John, the astronomer, was the eldest grandson of the fifth baronet, also named Sir John (1708-1789). 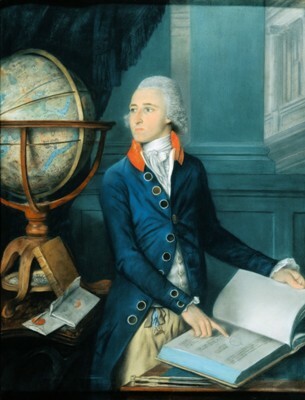 John Goodricke, the astronomer, was born in Groningen, the Netherlands, on 17 September, 1764, where his father, Henry, was employed in diplomatic service. Johns mother was born Levina Benjamina Sessler in 1735; her father was Peter Sessler, a merchant of Namur, Belgium. John was the eldest surviving child. Also born in Holland were a brother and two sisters; yet another sister was born after the family returned to York. According to the family history, John became deaf at the age of five due to a severe illness that has been conjectured to be scarlet fever. He was sent to study, at the age of seven, at Thomas Braidwoods Academy for the Deaf and Dumb in Edinburgh. This school was the first in the British Isles for deaf children. Braidwood was very secretive in his teaching methods. It is known that he attempted to teach his pupils to speak if they were able, and that in any case an excellent education in all subjects was provided. John went on to study at the Warrington Academy for three years after leaving Braidwoods. 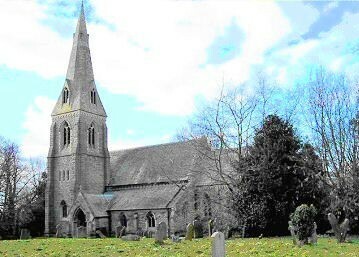 Warrington was one of the freethinking or non-conformist academies originally founded to prepare clergymen in denominations other than the Church of England. It was well known for its emphasis upon mathematics and natural philosophy; the chemist Joseph Priestley had taught there but had moved on before John Goodricke arrived in 1778. John was described as a very tolerable classic and an excellent mathematician in a school report. His mathematics notebook is preserved in the Goodricke collection of the York City Archives, and the figure below can be found on the inside back cover. passing through the zenith. The star positions, together with the Moons position in the sky, permit determination of the approximate date of the drawing. The only time that matches during Goodrickes lifetime is a one-week period in late November of 1779. On 23 November 1779, a total lunar eclipse was visible over England. John Goodricke would have had access to textbooks with tables of predicted eclipses; he would also have been taught to do such calculations in his schoolwork. Exactly how he came to produce this drawing we may never know. What is significant, however, is that he was already observing the sky in 1779, at the age of fifteen. The previous Goodricke baronets had attended university at either Cambridge or Aberdeen, and John surely would have been intellectually qualified for university. Why he returned to York to live with his family is somewhat puzzling. Both John, in his journal, and Edward Pigott, in a diary, make occasional references to Johns not being well, so perhaps his health had already begun to fail. 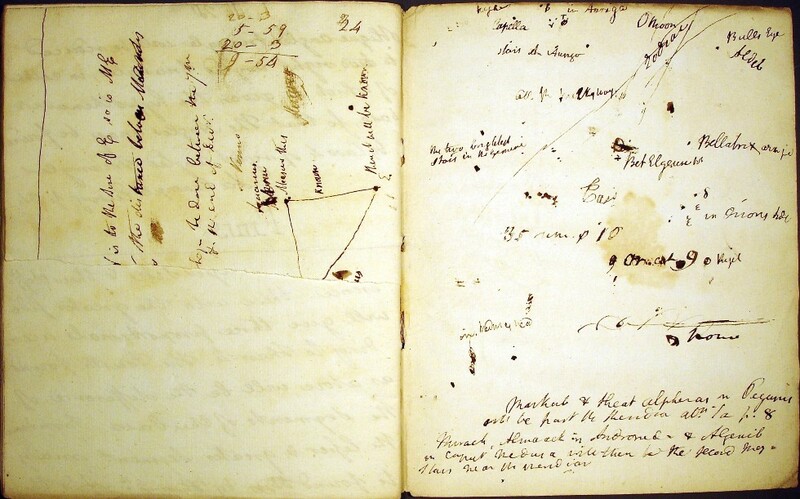 At any rate, the first entry in Johns formal observing journal comes early November 1781, when he writes: Last evening at 9 p.m. Mr. E. Pigott discovered a comet. During the first entry John describes Edwards correspondence with William Herschel and with Nevil Maskelyne, the Astronomer Royal. Edwards contacts in the astronomical world, as well as his discoveries, clearly impressed John, who immediately set about keeping a record of his own observations. winning the Copley Medal. Edwards father, Nathaniel, was also an astronomer, and he had taught his son astronomy primarily as a tool for surveying. The elder Pigott was responsible for the determination of the latitude and longitude of several cities in the Low Countries, work to which Edward contributed. Nathaniel built in York an observatory described as the finest private observatory in England, and John and Edward often observed there together. This night I looked at Beta Persei [Algol], and was much amazed to find its brightness altered–It now appears to be of about 4th magnitude.I observed it diligently for about an hour–I hardly believed that it changed its brightness because I never heard of any star varying so quickly in its brightness. I thought it might perhaps be owing to an optical illusion, a defect in my eyes, or bad air, but the sequel will show that its change is true and that I was not mistaken. …I should imagine it could hardly be accounted for otherwise than either by the interposition of a large body revolving round Algol, or some kind of motion of its own, whereby part of its body, covered with spots or such like matter, is periodically turned towards the earth. Dark spots, or large portions of the surface, less luminous than the rest, turned alternately in certain directions, either towards or away from us, will account for all the phenomena of periodical changes in the lustre of the stars so satisfactorily, that we certainly need not look for any other cause. 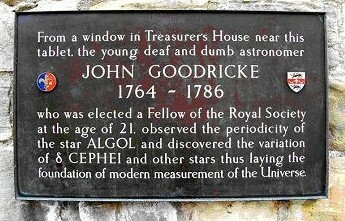 John Goodricke continued to observe Algol whenever possible, as he broadened his net to include other variable stars as well. He established periods of variation for two other stars, Beta Lyrae (another eclipsing binary), and Delta Cephei. The latter is a totally different type of variable; stars of this type actually pulsate, becoming brighter and dimmer. The physics of the variation of Cepheids is well understood, and the time it takes these stars to go through one cycle is directly related to their luminosity. By knowing how bright a Cepheid really is, and by observing how bright it appears, we can determine its distance, and this enables us to measure the distances to other galaxies. None of the physics needed to understand the nature of any of these stars was understood in the time of Goodricke and Pigott, of course. Their pioneering work helped lay the observational groundwork upon which later astronomy and astrophysics was built. The Royal Society of London voted in August of 1783 to award John Goodricke the Copley Medal for his determination of the periodicity of the star Algol. 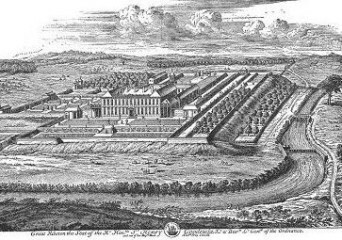 John went to London where he collected his medal and visited Nevil Maskelyne at Greenwich. At some point he sat for the pastel portrait above. James Scouler was a London-based portrait artist, but as yet I have found no evidence about where the portrait was done. On 6 April 1786, the Royal Society elected John Goodricke to membership. His nomination was put forward by Nathaniel Pigott and sponsored by seven other members including Maskelyne, two other members of the Board of Longitude, and professors from Cambridge and Oxford. Sadly, Goodricke died on 20 April in York. John Goodricke, Esq., Grandson and Heir Apparent of the Right Honourable Sir John Goodricke, Bart, of Great Ribston, buried in the new Cemetery at Hunsingore on Friday the 27th day of April 1786. Dame Mary; his brother Henry, the sixth baronet; his nephew Harry James, the seventh baronet; and Elizabeth Soper, a relative by marriage of the sixth baronet, who died suddenly while visiting the Goodricke family. Although death came to John Goodricke tragically early, he was not shunned by his family either in life or in death. Much remains to be learned about John Goodrickes life and work. Although somewhat isolated by his residence in York and by his deafness, he was recognized by the scientific community of his day. The people of York can be deservedly proud of their native son. It is a pleasure to thank Joy Cann and Caroline Stockdale of the York City Archives, Alison Brech of the Borthwick Institute, and Ian Stuart and Ron Emmons for their assistance, advice, and inspiration. This work was supported by the Herbert C. Pollack Award from the Dudley Observatory and by a Small Research Grant from the American Astronomical Society.